Central Development Working Party (CDWP), on Monday, accorded approval to a project worth Rs 552.708 million and recommended three projects worth Rs 209.5 billion to ECNEC for endorsement. CDWP had met in a meeting chaired by Federal Minister for Planning, Development & Reform, Makhdum Khusro Bakhtyar. 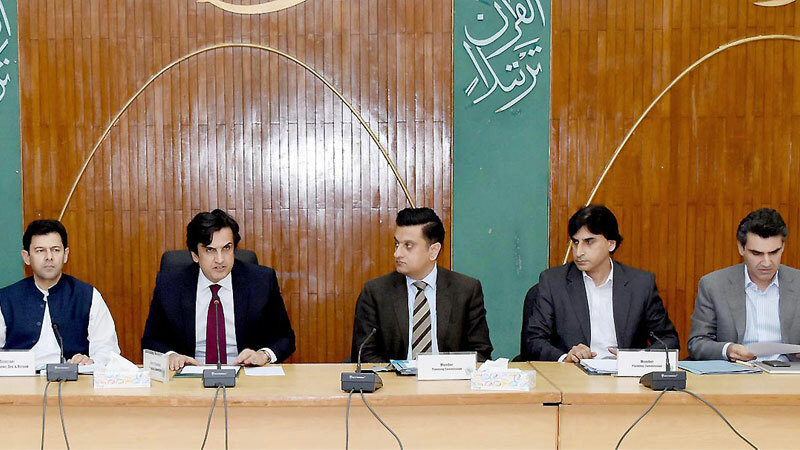 Planning Secretary, Zafar Hasan, as well as senior officials from federal and provincial governments were also present in the meeting that deliberated upon key projects related to energy, transport and communication sectors. Power Division presented an energy project “500 KV HVDC Transmission System between Tajikistan and Pakistan for Central Asia-South Asia Transmission Interconnection (CASA-1000)” worth Rs 45989.084 million. The project envisioned transmission of electricity from Tajikistan to Pakistan through Afghanistan. It was recommended to ECNEC for consideration. Energy & Power Department of Khyber Pakhtunkhwa also presented an energy project “Preparation Advance facility for proposed World Bank assisted Khyber Pakhtunkhwa Hydropower Development Project (PC-II)” to the tune of Rs 552.708 million. The department aimed to accelerate hydropower development in Khyber Pakhtunkhwa through this project while seeking assistance from the World Bank to accelerate the development of hydropower projects. The CDWP accorded approval to the project. Another energy project “Balakot Hydropower Project” worth Rs 85912.926 million was presented by Energy & Power Department of Khyber Pakhtunkhwa. It was recommended to ECNEC for consideration. The project envisioned the construction of a 310-MW Balakot hydropower project on Kunhar river, a major tributary of Jhelum river. The energy generated was said to provide more reliable and consistent power to the local area and the national grid. In the transport and communication sector, the Sindh government presented “Construction of BRT Red Line Project” worth Rs 77598 million, which was also referred to ECNEC for consideration. The project was said to envisage the construction of metro bus dedicated corridors measuring 29.1 km in length, from Numaish to Malir Halt depot, and a common corridor of 2.4 km. The project would contribute to developing a sustainable urban bus transport system in Karachi with less travel time and enhanced mobility and accessibility. As many as 320000 passengers would use the service every day. The Concept Clearance proposal of FBR’s project “Domestic Resource Mobilization” worth USD 400 million was also given approval by the CDWP. Speaking on the occasion, Minister for Planning said that the government held the political will and commitment to enhance tax revenue collection by mobilising internal resources. He expressed optimism that the FBR would bring the best policy under the proposal for increasing tax revenue collection. The provincial government presented the concept clearance proposal of “Karachi Urban Mobility Project (Yellow Line Bus Rapid Transit (BRT))” worth Rs 65968 million, which was also given approval.